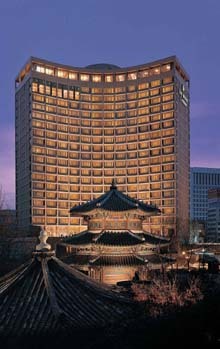 With over 90 years of a long, memorable and successful history, The Westin Chosun once again invites you to join us for our cherished 92nd Anniversary Celebration! Come and dine in any of our world-class restaurants and become one of the 92 lucky winners from our Grand 92nd Anniversary Drawing! In deep appreciation of your loyal patronage and support, we will celebrate this spectacular occasion with extraordinary giveaways. Eight restaurants will feature a fantastic variety of 92nd Anniversary Menus throughout this period. Enjoy Ho Kyung Jeon'umptious weekend buffet or Szechwan-style cuisines, a luxurious Sunday Brunch at The Ninth Gate, Saturday' Unlimited Sushi Fare at Sushi-Cho, and so much more! Choose your favorite dish from any of these fabulous menus, and you will be entered automatically into our drawing. Among the 92 sensational lucky draw prizes, there will be Jaguar, luxury accommodation for The Westin Chosun Seoul or Busan, 2 Round-trip Tickets to the U.S., and lunch or dinner buffet for 2 persons. Experience our exceptional menus and services while you grab the incredible opportunity to be the owner of a fabulous Jaguar!